This book is a compendium of newspaper columns Sydney Lea composed in his tenure as Vermont Poet Laureate. He says he hopes these columns will continue to be of interest to poetry lovers and students, but above all to the common reader. Seeking at every turn to avoid jargon, he explores how the making of a poet’s art resembles the making of any reader’s life. For Lea, poetry and everyday life are deeply entangled. Sydney Lea was Vermont’s 2011-2015 Poet Laureate. 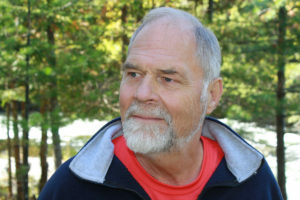 He has published numerous books in multiple genres, among them Pursuit of a Wound, a finalist for the 2001 Pulitzer Prize for poetry. He is the founder of New England Review and has been awarded Rockefeller, Fulbright, and Guggenheim fellowships; he has taught at Dartmouth, Yale, Wesleyan, Vermont, and Middlebury colleges, as well as at Switzerland’s Franklin College and Budapest’s National Hungarian University. His stories, poems, essays and criticism have appeared in The New Yorker, The Atlantic, The New Republic, The New York Times, Sports Illustrated and many other periodicals, as well as in more than fifty anthologies. He lives in Newbury, Vermont, and he is active both in community literacy efforts and in environmental conservation.